With the growing number of disparate data sources and the shrinking availability of niche technical skill sets to manage, let alone integrate these data sources, trouble is in the forseeable future - especially when it comes to big data. In this session we will review case studies of how data virtualization creates a mid-tier data access layer with virtual views that allow for significantly faster data provisioning and data preparation for analytic environments. We will also look at the centralized security that allows for user/role based access control and the data masking features that allow for the legal and compliant use of PII (Personally Identifying Information)in analytics. 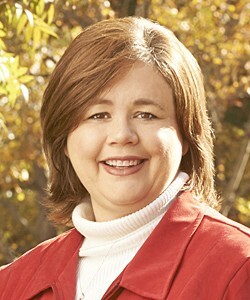 Anne Buff is a Thought Leader for the SAS Best Practices Team. She specializes in facilitating discussions and executive workshops in data management, MDM, data integration and data virtualization. In this role she leverages her 15 years of training and consulting experience to lead best-practices workshops and facilitates intra-team dialogs in a fun and engaging way. She has developed courseware for SAS® software and works closely with SAS development teams to offer guidance on the business application of key SAS products. Anne went to clown school as a child, which culminated in a week with the circus, an experience that taught Anne to always have fun in her job. She went on to attain a Master’s Degree in Organizational Communication from West Virginia University, which wasn’t as fun as the circus — but it has taught her all about juggling corporate teams. Her greatest passion is making sure everyone knows technical training can (and should be) FUN!